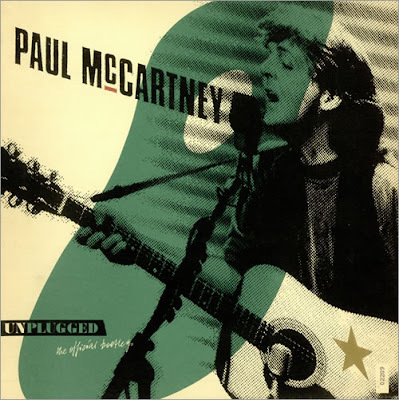 Recorded nineteen years ago today, on January 25, 1991, Paul McCartney's Unplugged - The Official Bootleg, was one of the very first albums - if not the first - to be released after an artist's appearance on MTV's "Unplugged." (The album would be released in the United States in June of 1991). After covering Gene Vincent's "Be Bop A Lula," McCartney welcomed the assembled crowd to "Unplugged," the "program where everybody takes their plugs out and goes mad." After a decade or more of trying to recapture the lost sound of his glory period, Paul sounds like he is really feeling himself for a change here, and lets the soul of musical rock-n-roll flow. It's as if he's surrendered to the fact that he can't sing the perfect "Let It Beees" anymore and that he can't churn out the top forty tunes. 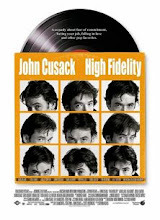 Instead he reverts back to his Elvis imitation days and has the fun of a youngster whose only true love is music. On "Unplugged" McCartney shows that he can age into a very unique musical voice in the coming years. Perhaps now he will allow his natural talent to mature into a kind of gestalt of pop music the way Lennon seemed headed before his death. I mean McCartney has no reason to compete with his past, current pop stars, John Lennon, media expectations, and worst of all, his own awful "suburban pop" (e.g. "Big Barn Bed", "Ebony and Ivory", etc) drivel, which he has been dumping on us over the years. I also believe Rolling Stone magazine slighted "Unplugged" by only giving it 3 and 1/2 stars. Heck, 10 years ago they gave "Tug of War" 5 stars. It's as if they'd feel too risky seriously recommending a Paul McCartney album to its trendy readership. Times have certainly changed. But so has PM. So if you want to hear a really good pop/rock cd, take a chance and buy his new cd. Other 1991 Usenet comments of interest can be found here and here. The release was notable for a few reasons. It featured "I Lost My Little Girl," purportedly the first song ever written by McCartney at age 14. He performed a number of covers, including tunes originally by Bill Withers, Gene Vincent, and Bill Monroe. He played six Beatles songs: "Here, There, and Everywhere," "We Can Work It Out," "I've Just Seen A Face," "She's A Woman," "And I Love Her," and "Blackbird," which he humorously referred to as "Blackboard" during the show due to a woman's misidentification of the tune. Perhaps most fun was when McCartney had to stop and start again on "We Can Work It Out" because he fumbled and forgot the opening lyrics. ("This is so informal, we'll start again," he said, and so he did.). I remember the release of this album; at that time, I was still on my mad quest to purchase all of the Beatles records on CD (not knowing, of course, that in eighteen years, the remastered versions would be released and I'd have to buy them all again.). When I first learned of the imminent release of this album, I suffered that paranoia known only to record collectors: would I be able to obtain a copy of the limited edition release before it sold out? Thankfully, I trekked to Sound Warehouse shortly after its release and found a copy, which I have to this day. Of course, it was later reissued as a non-limited release, so all the worry was for naught.